Pierre Schaeffer, the director of the GRM (Groupe de Recherches Musicales at Radio France), very soon offered him a position: he was not only responsible to edit and work out the famous Solfège-3LP-Box that was the practical part of Schaeffer’s theoretical manifest “Traité des objets musicaux”, he also codirected with Schaeffer the class for electroacoustic music at the National Music Conservatory. During that period Guy Reibel worked intensively in the studios of the GRM. He did not only compose some milestones of electronic music, he also developed a very music-based theory of electronic music: he included his ideas of musical gesture and game theory already in the sixties long before anybody else discussed those issues. His theories as well as his education as a musician with absolute hearing etc. soon brought him in conflict with other members of the GRM, who at that time more and more emphasized the media nature of electronic music. 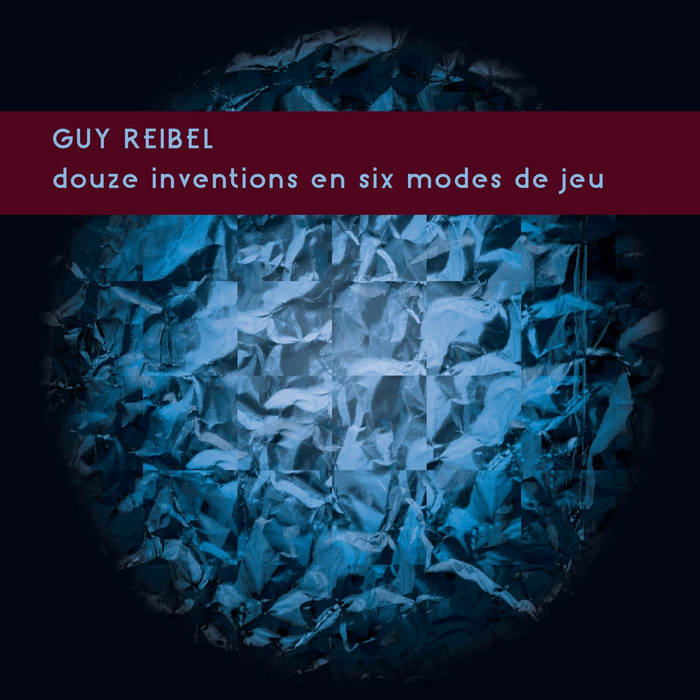 Guy Reibel – who was for long time considered to be Schaeffer’s successor as the director of the Group – lost the competition with Francois Bayle and in consequence not only quit the GRM but also electroacoustic music. He kept his composition class at the conservatory, toured the world as conductor of his newly founded Groupe Vocale de France (who realized the first complete recordings of Ligeti’s choir-work) and also took over a director’s position at Radio France. Meanwhile his electronic music almost disappeared. There were two or three LPs available on the early GRM series, later only one CD. Guy Reibel became in some ways the Trotzky of the GRM, who was removed from the acoustic photos of the group. Now, decades later, these struggles are over, and the GRM generously offered the possibility to use their studios for the digitalisation of the old tapes. So Guy Reibel and Reinhold Friedl could digitize his whole archive of his electronic pieces in late 2014. This vinyl is one result: „12 Inventions …“ is now being released for the very first time: a milestone in electronic music and a perfect example for Reibel’s musical austerity: very defined and limited musical material results in concentrated and dense forms. The unusually vital character of the music is also due to Reibel’s use of hybrid sound production: he very often combined amplitude envelopes of acoustic sounds and noises (especially and very often of polysteron) on synthetic electronic sounds. A few of the “12 inventions” are even played at least partly live: TM+, the legendary first live-electronic French group, was founded in 1977 by three of Reibel’s students: Denis Defour, Lurent Cuniot and Yann Geslin. They were almost the first purely electronic group that also toured Europe extensively with their analogue synthesizers. A separate vinyl of this group is also up to be released on Karlrecords’ Perihel series soon! But this LP documents how Guy Reibel succeeded to compose a music that combines the density and purity of electronic music with an unbelievable sound sensuousness. A real listening experience, here released for the very first time!